During the next long wait, take them out to play a quick game of Beat That! 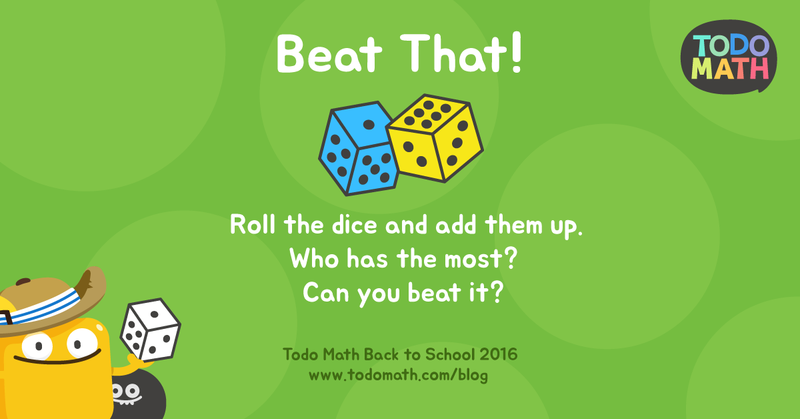 Roll the dice to make the largest possible number (a six and four would be sixty four). Pass the dice to the next person and see if they can beat it! This game is ideal for ages 5+ to learn the concept of place value. Tune into our Back to School 2016 series on early learning success every week in August. Ready for more counting games? Don’t forget to download Todo Math for FREE on the iTunesand Android app stores!